Using the Sidhil Bradshaw Bed Side Rail Height Extension Kit provides the necessary safety when using a deeper mattress, but due to their height the usual side rail pads will not be sufficient to ensure the entire rail is covered. The Sidhil Bradshaw Bed High Side Rail Pads provide the solution, as they have been specifically designed for the high side rail, making sure the patient is fully protected at all times. The pads are easy to apply with a Velcro fastening and can be removed when they are not required. 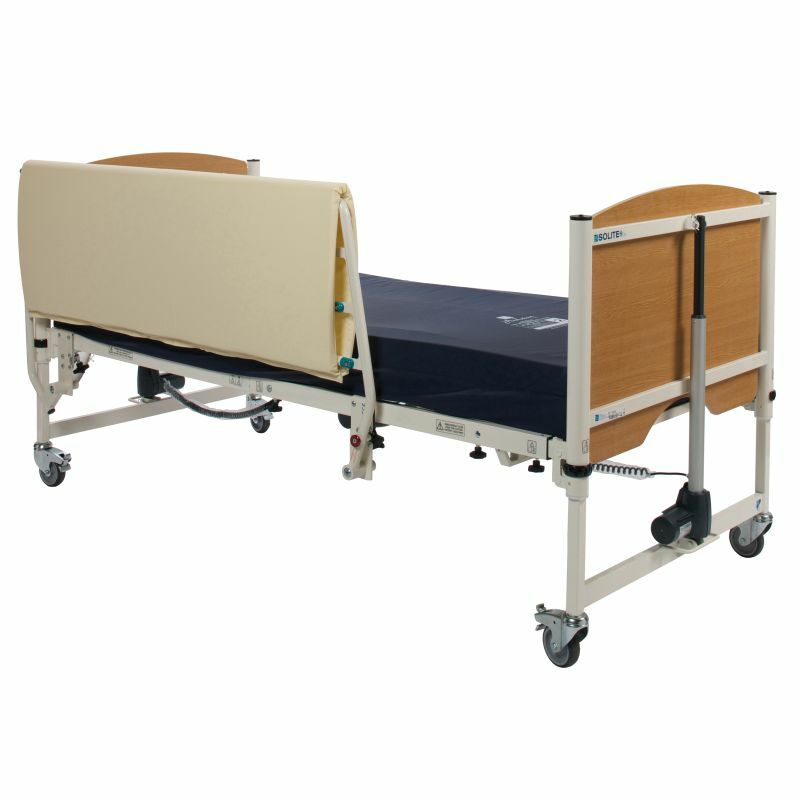 While high side rails help to reduce the risk of bed falls for deeper mattresses, they are made with hard materials that may cause injury when the patient bumps against them. These Side Rail Pads cushion the hard surface of the rails, softening any impact between the patient and rails to reduce the risk of injury. Please be advised that the Sidhil Bradshaw Bed High Side Rail Pads is usually delivered between 1 - 2 weeks of your order being placed. We would advise you to consider this delivery estimation before placing your order and apologise for any inconvenience that this may cause. For more information, please contact our Customer Care Team at 020 7501 0592.